- A select pile of new material by Big John Patton, Wes Montgomery, Dobie Gray, Mel Tormey, John Coltrane, Oliver Nelson, Wayne Shorter etc. 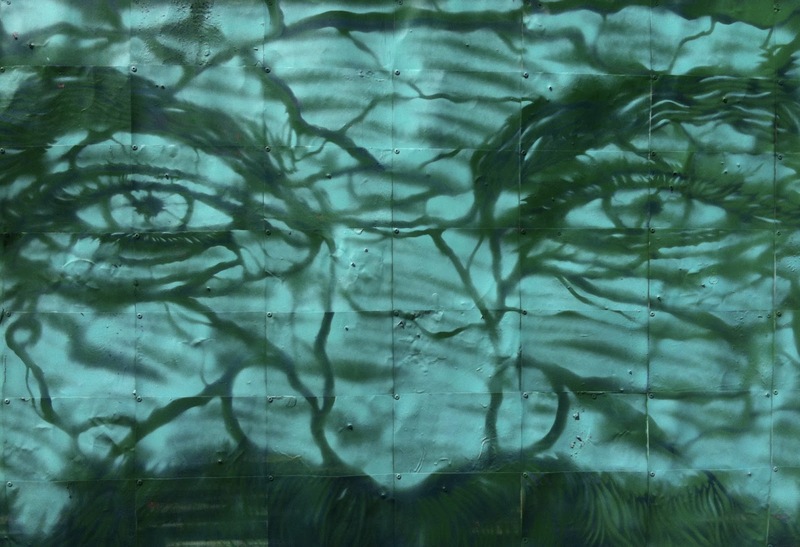 - A new recording! Watch this space. GCQ are back in Bird-land. 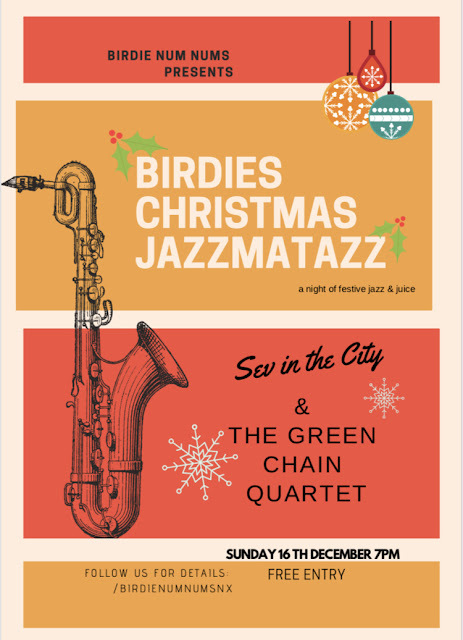 The Green Chain Quartet are back for an Xmas Special at the lovely Birdie Num Nums in New Cross. Looking forward to great set from Sev In The City and of course the fab-tasimmo Green Chain Quartet! Expect... Christmas swing, funky songs, joyfulness and... mmmm ... Christmas hats! We're taking a break over the summer.... Recharge our batteries, catch a few rays, kick back, chill out... We'll be back in the autumn though. So in the meantime do check out our tunes on YouTube. Yo good people! Like a bit of musical history? Sunday 10th June we're at Parliament Hill Fields Bandstand, Hampstead Heath; what's so historical about that? Well, back in the day (1968-1972 in fact) this was the venue for various rock/blues/psychodelia concerts that featured many legendary bands including: Pink Floyd, Pretty Things, Jefferson Airplane, Fairport Convention, Roy Harper, Pete Brown and his Battered Ornaments, Jody Grind and Musica Electronica Viva and .... ABBA! (no kidding). Ok, ok you get the idea... 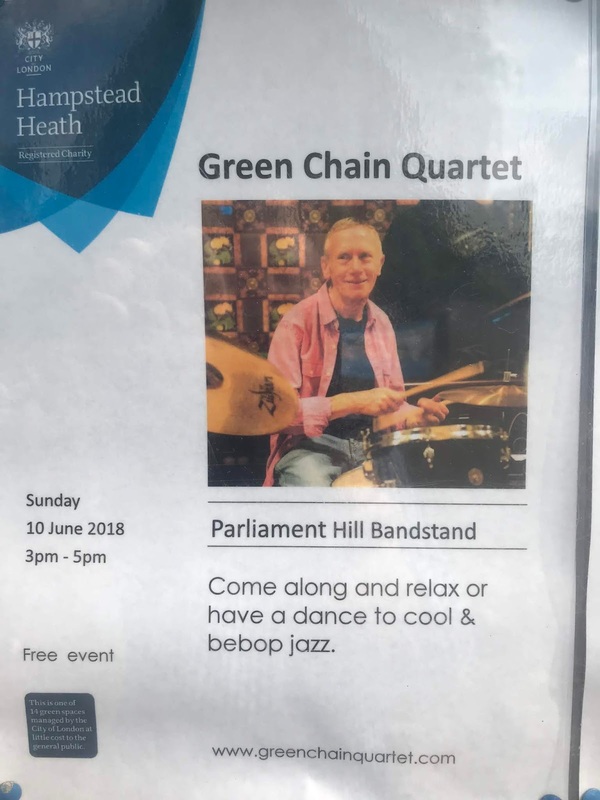 So anyways in this fine tradition of music making merriment we'll be bringing all the groovy Boogaloo to the Heath from 3 to 5pm on Sunday 10th June. See you there! 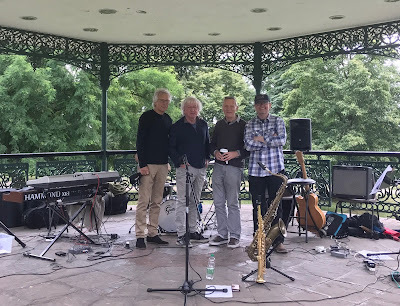 The GCQ... coming to a Bandstand near you. GCQ are back at Birdies. The Green Chain Quartet return for their regular monthly lunchtime jazz session at the lovely Birdie Num Nums. What: A great little place in New Cross, South London, just over the road from Goldsmith's College. Great food, bar, cafe, nice vibe, jazz, everyone agrees.. get there, you'll love it. GCQ are back in Byrd-land. 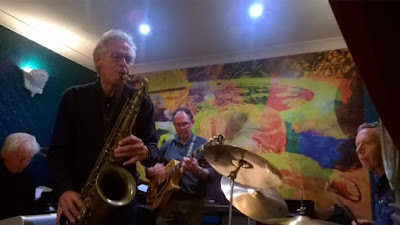 The return of the Green Chain Quartet for a regular monthly lunchtime jazz session at the lovely Birdie Num Nums. 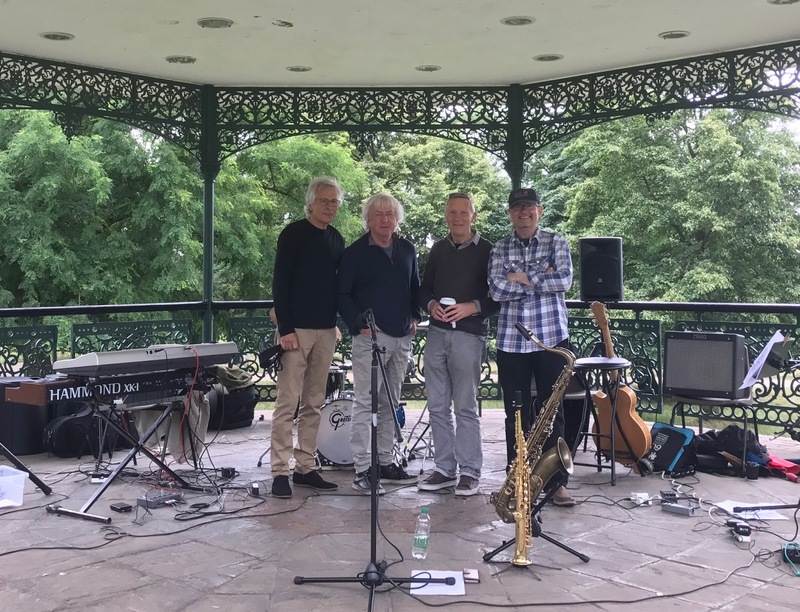 Spring is nearly here and the Green Chain Quartet are back for a special Mother's Day Brunchtime jazz session at the lovely Birdie Num Nums. What: A great little place in New Cross, South London, just over the road from Goldsmith's College. Great food, bar, cafe, nice vibe, everyone agrees.. get there, you'll love it. How: Dunno but it happens. Best to book, it gets very busy!